Exactly a month ago on Wednesday April 18th, I was checking out a new opportunity that involved my driving through Charlotte, NC to Atlanta, GA. 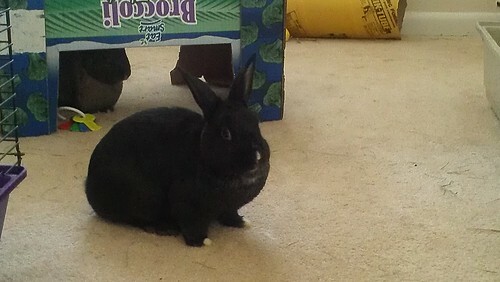 The beginning of the day was a bit stressful that morning due to Bashful Bunny’s death and my front driver’s flat tire being deader than a doornail. When my husband came to be the strong shoulder to lean upon, I was quite calm considering my panicked state only a moment earlier. Through the time of the tire replacements and dropping off Bashful Bunny’s body at the animal cremation site in Virginia Beach, I was still calm. 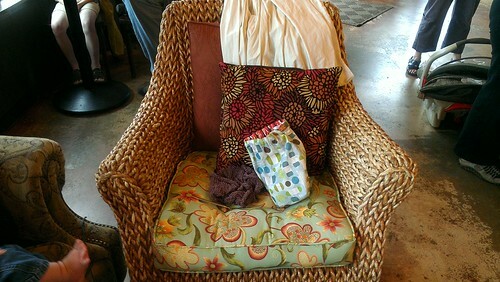 As we stopped by the Janaf Starbucks so Melissa Bell of “Knitting Amid Chaos” could give me the bag of 7×9 inch blanket squares for Diana Baber of the “Woofgang Pug Knits” blog, Christopher indulged me with a cinnamon latte and toasted “everything” bagel with cream cheese. Normally I would have chosen a slice of the lemon pound cake or one of the apple fritters, but by some strange reason the bagel comforted me. Soon after the drop off, we grabbed my car and I set out to pack it up and head on down to Charlotte just four hours later than planned. During the six-hour drive I mused over what I did by starting a social media marketing business for fiber-crafting companies. Since leaving XRX in October last year, I began working for certain key clients — Designer Sandra McIver, Wyrd Sisters Yarn, The Buffalo Wool Company, and Westminster Fibers Yarns. Each one required specific tasks and each were distinct personalities. Each one had the same goal: to become more successful by using what knowledge and strategies I offered. 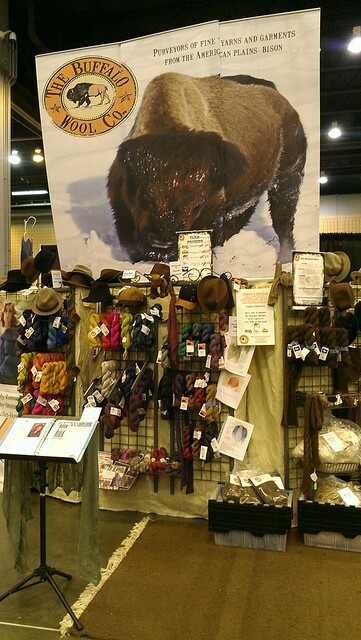 For STITCHES South, I was meeting with Theresa and Ron Miskin of The Buffalo Wool Company from Kennedale, TX. We had discussed the possibility of my working their booths during fiber shows and working at STITCHES in Atlanta would be a nice way of seeing if I liked doing do. 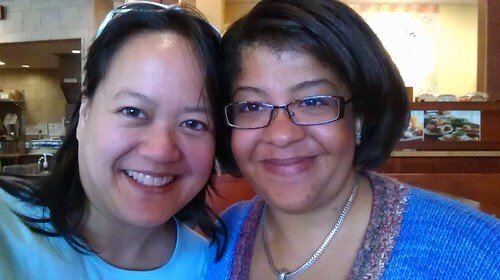 As I drove into Charlotte, I met up with the wonderful Aimee Abernathy (aka funfairiegirl) of the “Fairie Knits” blog. We first met via the Ravelry Helpers years ago at its beginning, and five years later all of us Helpers are still closely knit pals. For some fun with the reward of a neat prize, here is a little question about Aimee and myself. Besides our connection as Helpers, what is something we both share that is often seen as a very individual trait? So Aimee and I ate a late dinner, and I spent the night at her craft/guest room after we chatted way late into the night. We shared in her glow of conquering lupus’ trap and how yoga is an incredible cure for many of life’s ills. She introduced me to the Jeweled Cowl that she made in yarn I gifted to her, and it inspired me to use up the laceweight skeins in my stash. In the morning before I left for Atlanta, we breakfasted with Jenny Raymond (aka zzwhitejd) of “zJonquil Designs” for breakfast with her newborn son and children. Seeing Jenny and her kids were a treat. I can only hope that I will be as awesome of a mom as she is one day. To sum up STITCHES South in Atlanta, it was a lot of fun. (I am still writing a post on all the little intricacies to report, but rest assured it was a fabulous show.) Working with Theresa and Ron was as great as we three expected, we were treated to amazingly prime “front and center” seats at the Fashion Show and Dinner, Saturday night’s banquet was tons of fun, and Sunday night’s meal at FLIP with Esther and Bryan Rodgers of Jazz Turtle Creations was amazing. 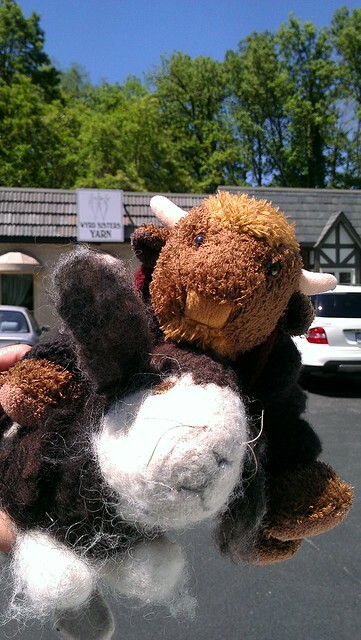 When I was dropping off a skein of rabbit fur yarn to my friend Anna, I mentioned I was planning on driving to Roanoke. Noting my sleepy stance, I assured her that I was going to nap at the first rest stop. That’s when she suggested I sleep for a bit in her room instead and I took her offer in deep appreciation after my Sunday meal. Early Monday morning I awoke at 3:00 am and could not fall back asleep. I cleaned up and readied myself to drive the seven hours to the Knitch Knitters Guild in Blacksburg, VA so I could attend Margaret Radcliffe’s book signing party. Anna had awakened to give me a hug and wish me safe travels. Excited with the newfound energy, I drove off with hope in seeing old friends I have not seen in over a year at the party and in the evening with others at 622 North. Unfortunately I never made it to the guild’s party. About 2 hours shy from arriving, I felt the urge to nap and I slept for over an hour. But I did make it to 622 North to see my friends Chris and Gary M., Sheryl and Chris G., “the” Margaret Radcliffe, and last but not least Caitlyn. 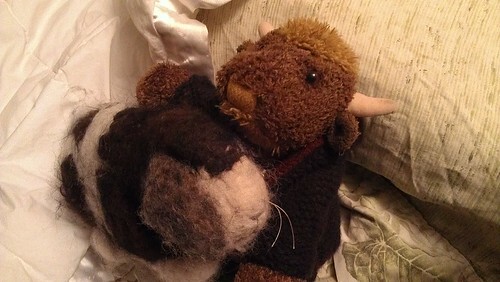 We noshed and drank for a bit, and everyone shared various peeks at The Buffalo Wool Company yarns in my care. Much oooohs and ahhhs gave signs that these beauties were wanted. We later parted, in which I left with Chris and Gary for dinner and to crash the night on their couch. The meal was amazing and soon my bodyguards attended to my rest by hogging up the pillows. My drive back home kicked off with coffee and pilates (which kept me in bed the next day because that is how out of shape I am!). 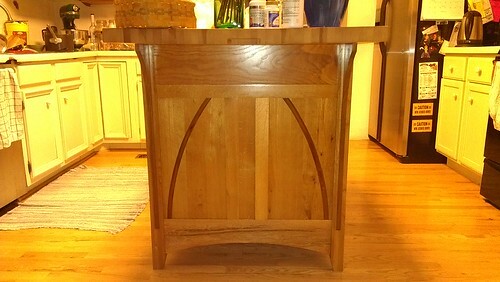 Chris and Gary had a pot brewing, and I could not help but admire the kitchen island Gary made. Admittedly I love the little notch on the one side because it is perfect for swifts and ball winders… Whaaaaaat? So I left pilates all smug in thinking it was a piece of cake, and to meet up with Tanya Brooks of “The Indigo Muse” for breakfast at Panera. We had fun catching up in person. Usually we chat about every other week or so on the phone, but there is nothing like seeing friends in person. I later left to meet with Cate of Wyrd Sisters Yarn for some business-related things, and then I met up with Tanya again for lunch because we had (holding arms wide) “thaaaaaaaaaaaaaaat much” catching up to do. Soon it was time to drive home and to face the empty cage that I left behind only a few days before. 1. Bashful’s ashes arrived to me the Friday I was back. Her little metal box sits on my desk to keep me company like she did when I brought her home for the 9 weeks she was with us. 2. 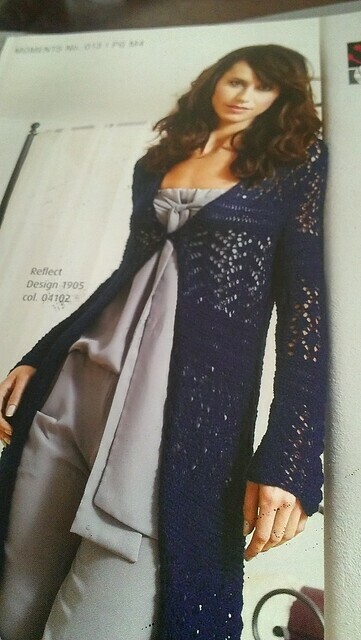 I am swatching to begin a KAL of the 1905 Ladies Lace Coat design on the cover of SMC Select Moments No. 013 in a bright red. I want to have this coat finished in time for TNNA Columbus, but am unsure it will happen. I however am sure that if some folks can join me in making it, I will at least have it done in time to wear for summer’s heat. 3. I also have cast on for another Sheer Beauty from “Knit, Swirl!” only this time it is for ME. 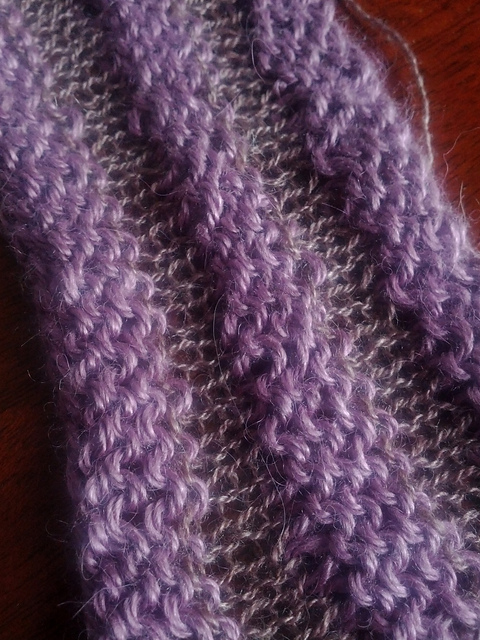 The yarns used are BWC’s Lux in Dakota Dawn and Blue Sky Alpaca’s Alpaca Silk in Wisteria. 4. 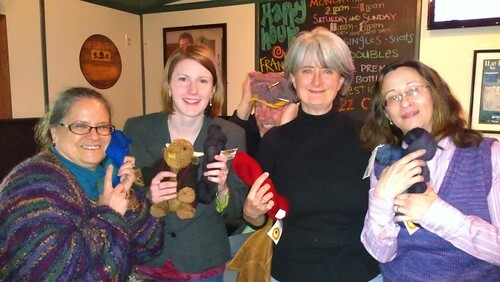 I have been invited to share in Yarn Mountain‘s Customer Appreciation Party this Wednesday on May 23rd. Of course I am bringing BWC’s Trunk show and will be wearing a “Knit, Swirl!” jacket. Oh! You guys have the sae birthday. Gah it took me forver to remember. Wait is that cheating? Also you totally have to finish this jacket by TNNA so I can wear it, er I mean see it. 🙂 Will you bring your knit swirl book with you? I want to peek through it. ahem and let’s pretend there are no typos in my reply. 🙂 Thanks!